Eveything about my baby .. 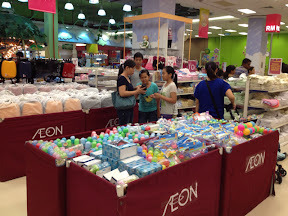 So it's a Sunday, after having a really good meal at Fei Fei Crab Restaurant in Kepong with a bunch of foodie friends, we adjourned to the nearest shopping complex which so happened to be the Aeon Jaya Jusco Kepong. 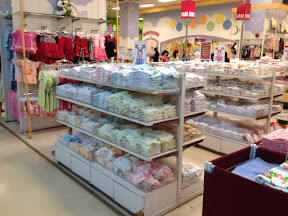 What I found rather interesting was the fact that their baby section was really huge with all types of affordable baby stuff. The best part was it is located behind the kids entertainment centre. 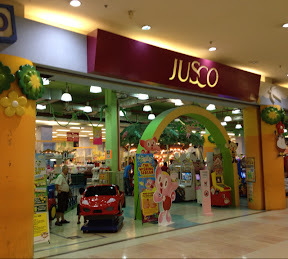 So this means parents with kids inadvertently have to allow their kids to play there hence earning Jusco more $$. 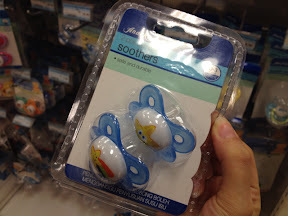 I really like the variety of baby products in the baby section. 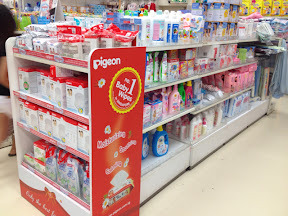 Unfortunately I don't know enough of the different type of products yet. Let Janice do the picking, and buying. Well the damage this round came up to around rm50+ for some small small items, including some baby towels, baby bottle cleaner, some baby napkin clips, etc etc. Probably I'll be blogging more about the products in detail some other time. 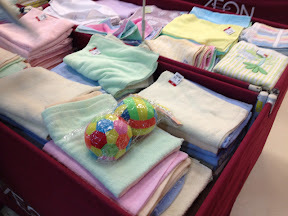 Overall, another weekend experience of some baby item buying. I expect a lot more of these type of shopping to come as the due date approaches. As for now, I'm just happy snapping photos and blogging it via my phone to baby.isaactan.net. Pretty awesome feeling. Until next time then. 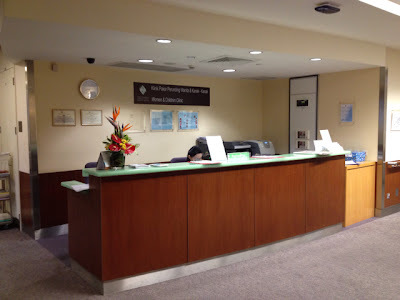 So Janice has reached her 23 weeks, and there I am again at the Gynaecology department of Prince Court Medical Centre in Ampang for her monthly checkup. It's always a visit we look forward to, as it gives us a chance to see the progress of the baby via the ultrasound scan. Reaching rather early this morning, we always set our doctor's appointment as early in the morning as possible on a weekend to avoid the crowd. You can't imagine how many pregnant ladies there are nowadays. 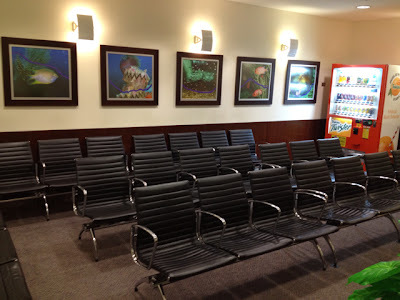 Late a bit and you have to wait for hours even though there was already an appointment beforehand. 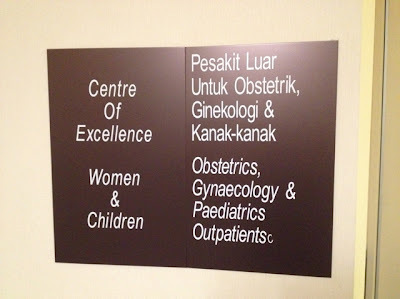 The thing is, most likely the wife won't be giving birth here in Prince Court as we would rather have our child born in Penang, our hometown. We have not decided on the hospital there yet as of now. 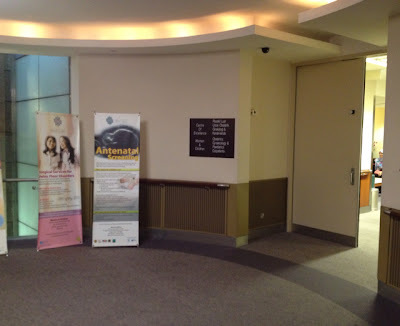 As for now, we will still be seeking consultation and checkups from the gynaecologist in Prince Court throughout the pregnancy. So I decided to start off a blog to document my experiences as a future daddy, as well as my wife Janice who is currently pregnant with our child. Be sure there will be more sharing and stuff. I could not think of a better blog name, hence the rather simple baby.isaactan.net blog name, so do bear with me.